In early 2017, Beijing Mindleader Agroscience Co., Ltd., a leading pesticide formulation company in China, made an important investment while it was still on the fast growth track. 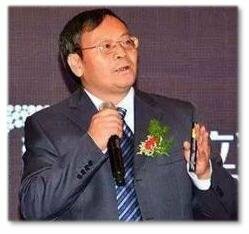 The company increased capital in Pilarquim (Shanghai) Co., Ltd., and Mr. Mu Canxian, chairman of Mindleader, became the chairman and legal representative for Pilarquim (Shanghai) Co., Ltd. This caused a lot of sensation and suspicion in the industry. How did Pilarquim attract the investment of Mindleader? What resources will Pilarquim get from this transaction? And how will Pilarquim use these resources? 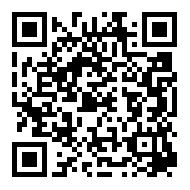 What are the blueprints for Pilarquim and Mindleader’s development in the future? AgroPages conducted an exclusive interview with Mr. Mu Canxian, chairman of Mindleader and Pilarquim (Shanghai). Mr. Mu introduced the development of Pilarquim, the opportunity and the foundation of cooperation between Mindleader and Pilarquim. Also, Mr. Mu explained how to effectively utilized the resources of both sides, while showing strong confidence in the future development of Pilarquim. Mr. Mu introduced the history of Pilarquim. Pilarquim is an international agrochemical company with its own formulation products, adjuvant products and OECD GLP laboratory which always dedicated to providing high quality plant protection products and services to agriculture all over the world. Pilarquim formerly was Yuen-Fa Chemical Co., Ltd., founded in Taiwan in 1961. The company engaged in global trade in the early 1980s by purchasing from mainland China and selling products around the world. Through years of development and accumulation of capital, Pilarquim (Shanghai) Co., Ltd. , the formulation plant and new headquarter, was founded in 1997 in order to meet to needs of formulation supply. This was an important milestone for Pilarquim. Since then, Pilarquim possessed both production and international trading capabilities, and started global sales of products under the brand name of Pilarquim and accelerated the registration of products globally. In 2011, Pilarquim entered a new stage of development. 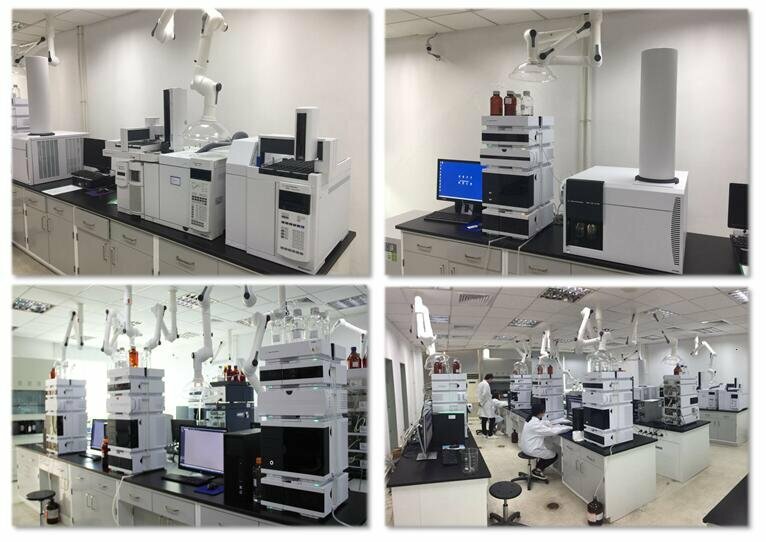 Its GLP laboratory obtained OECD certification, which enables fully support of product research and development of the company. In 2017, Pilarcise (GLP Laboratory, 17025 Laboratory) became an independent company separated from Pilarquim while Pilarquim holds share of it, providing third-party testing services for agricultural chemicals, securing the professionalism of Pilarquim's future development. So far, Pilarquim has two wholly-owned subsidiaries, Pilarquim (Hong Kong), Jass Biotech (Shanghai) Corp., holds shares of Pilarcise, and has its own formulation production base and R&D center in Huaian, Jiangsu Province in China. At the same time, Pilarquim has registered more than 400 products in more than 40 countries and regions in Asia, Africa, America, Europe and so on. Pilarquim has established a sound market channel network based on long-term trade relationship. 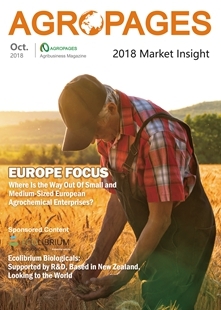 During 2016-2017, the international pesticide market kept shrinking and the domestic pesticide industry had to face the strictest environmental protection regulations. It was also a painful period of transformation and development for the entire industry. However, Mindleader, a domestic pesticide company established in 2011, enjoyed rapid ascent under the leadership of its chairman Mu Canxian, who is passionate about R&D and innovation. Because of its exquisite technologies and excellent product quality, Mindleader has been honored as an enterprise with 'craftsmanship' in the new era of pesticide industry. By virtue of its powerful products, such as the great item brand PILARTEP®, and double-digit annual sales growth, Mindleader initiated a strategic intent to enter the global market. From this point of view, Mindleader and Pilarquim have highly compatible development goals and visions, which are also the cornerstones of their cooperation. In early 2017, Mindleader completed the capital increase in Pilarquim. At the same time, Mr. Mu became the chairman and legal representative of Pilarquim. Mr. Mu remarked that he valued not only the rich experience of Pilarquim in the overseas trade with its own brands and its 400-plus global registrations, but also the long-term customers accumulated along the development of Pilarquim, who were competitive across regional markets. Pilarquim has set up a strong overseas channel network based on these customers, which is very attractive to Mindleader. 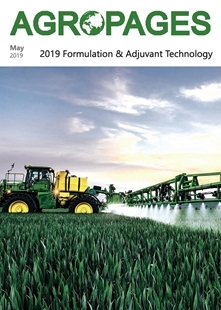 However, before Mindleader’s investment, the purchase of pesticide TC was a weakness for Pilarquim's development, especially in obtaining new or authorized products. The ambitious and rapidly growing Mindleader not only provides the funds needed by Pilarquim, but also endows it with the genes and advantages of R&D and innovation. Coupled with the strong supply chain support based on Chinese TCs and formulations, Pilarquim will be "upgraded" to a complete "enhanced version" enterprise with independent brand competitiveness globally. Mr. Mu has more than 20 years of experience in R&D, innovation and entrepreneurship in the pesticide industry. He is passionate about the Chinese pesticide industry and has great hopes and confidence in it. He always believed that 'Global Pesticides Made in China' would not be just a slogan, and the globalization of pesticide formulations made in China would be a trend for sure. Mr. Mu said that China's pesticide enterprises have natural resource advantages in the industrial chain. The raw materials and the intermediates of a large number of pesticides in China are produced by various manufacturers. This is a powerful industry resource that many other countries do not have. 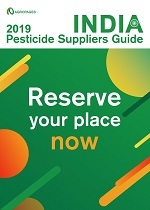 The ongoing HSE compliance regulation in the pesticide industry will also drive the evolution of a more concentrated supply of pesticide products in the future. Coupled with the diligent and hardworking character of the Chinese people, the Chinese pesticide enterprises should have the confidence and the courage to work together to improve China's pesticide industry to a higher level of international competition pattern. Now, Mr. Mu has taken a firm step toward international brand development by investing in Pilarquim. With Pilarquim as the platform, Mindleader has started selecting competitive products for product registration in more than 40 countries and regions in Americas, South Asia, the Middle East, Africa, Poland, Russia and so on. In the coming three years, Pilarquim will register eight products each year in the above countries. It is estimated that in the next three years, the number of registration certificates held by Pilarquim will be tripled and the total number will be up to 1200 (including the registrations under evaluation). Concerning the product and marketing strategies, Mr. Mu stressed that the company would adhere to the guideline of "branded formulations, differentiated product." Mindleader has sorted out 12 products that are most competitive meticulously as the first batch, including PILARTEP® (30% Tebuconazole + Pyraclostrobin) and PILARCLOTRIN® (25% Lambda-cyhalothrin + Clothianidin). These products show excellent performances in the field and have been proved in the domestic market. In the future, the company will focus on key crops in key countries and make product portfolio in such regional markets. Mr. Mu anticipated that after three years, Pilarquim would enter a fast-growing track and take full advantage of the differentiated product portfolio to face the competition of multinational corporations and local formulation companies. Currently, Pilarquim has an international sales of US$50 million, and plans to reach an annual sales of US$80 million by 2020 and break US$200 million by 2023. It is easy to talk about internationalization and branding, but the journey beyond must be extremely arduous. From Mr. Mu’s perspective, Pilarquim has now been equipped with innovative technologies, product resources and supply support. The most difficult part for Pilarquim will be the building of the global team and cultural management. The building of an international team will be the most challenging task Pilarquim ever faced. Mr. Mu commented that by using international management thinking and methods, Pilarquim will continue to highlight innovation and strengthen professional services, and the company is bond to shine in the international market.